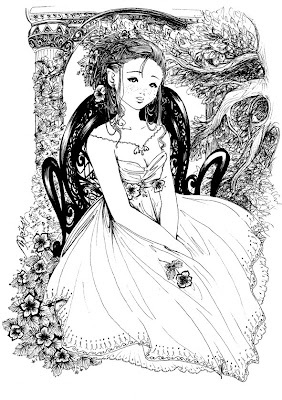 Princess Coloring Pages brings you this lovely and very detailed princess coloring in picture that older girls (and grown ups too!) will just love to color. Click on the image to view it full size - then press CONTROL and the letter P on your keyboard to print it - then get your crayons out!